St Canna's Ale House, Cardiff. Nestled on Llandaff Rd, Cardiff. 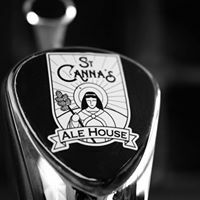 The brilliant St Canna's Ale House is one of Cardiff's hidden gems in the micropub scene. The Hare and Hounds, Aberthin. Situated in the picturesque village of Aberthin in the Vale of Glamorgan. 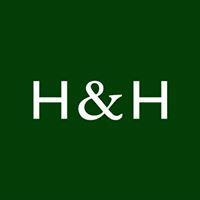 The Hare and Hounds is a welcoming traditional pub with one of the best food menus in Wales. 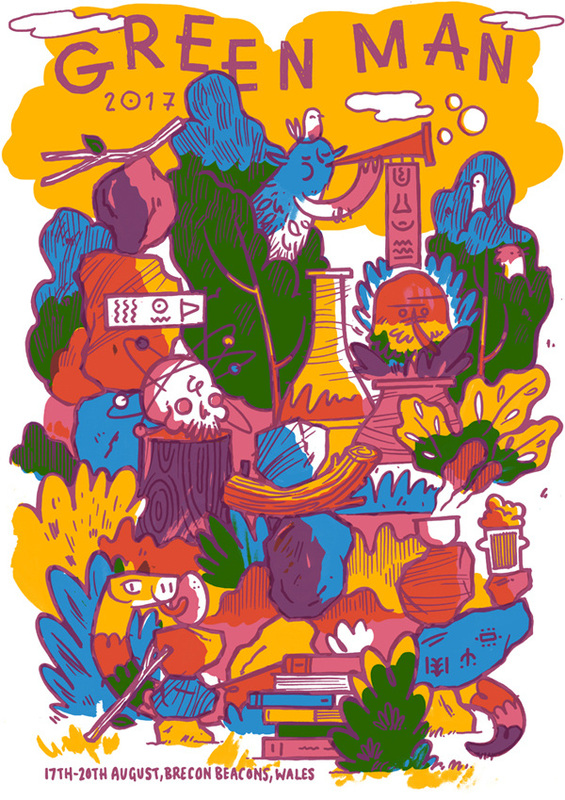 All carefully curated by Tom Watts-Jones. The Little Penybont Arms, Pencoed. A great little micropub with a terrific range of beers and ciders on offer. Locals are very welcoming and the owners also run a very successful local restaurant, The Steak and Stamp. One of Cardiff's best pubs, a real pillar of the establishment. Always a good range of beers and ciders on offer severed by very knowledgable, approachable staff. They just won CAMRA'S cider pub of the year 2018 so they must be doing something right! A wonderful, welcoming port of call on Albany Road, Cardiff. The Buchan has become the beating heart of the live music scene in Roath. 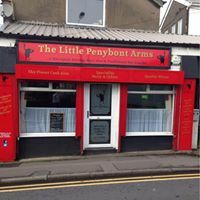 Newports Newest and friendliest micropub. 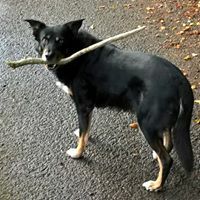 A great range of beers and ciders in a fun jovial atmosphere curated by Paul Tully, family and the family pooch. Well worth a visit. They also have live music on Sunday Nights. 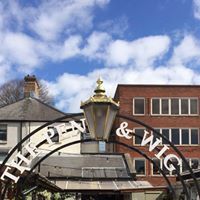 A brilliant Cardiff pub very close to Cardiff University. Also where I spent many a hazy night in my youth. Well I think I did anyway! 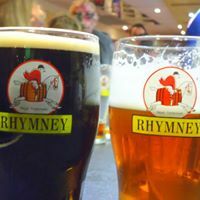 A terrific range of ales and ciders on offer in a bustling pub with lots going on. 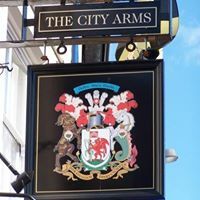 Winner of Cardiff CAMRA's beer and cider pub of the year numberous times the bunker has perhaps the largest range of beers and ciders available anywhere in Cardiff. Always something new and unsual on and a great place to hear the gossip of the City. 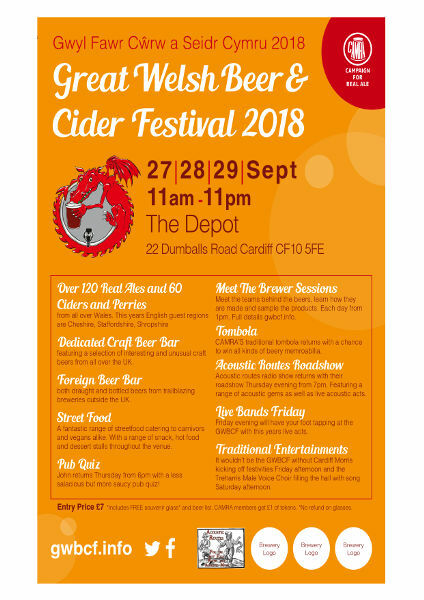 Cardiff CAMRA's beer and cider festival. 27-29th September in The Depot, Dumballs Road. 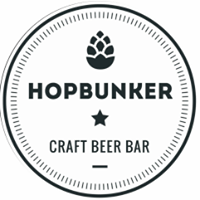 I'll be running the Craft beer bar, come and say hi! 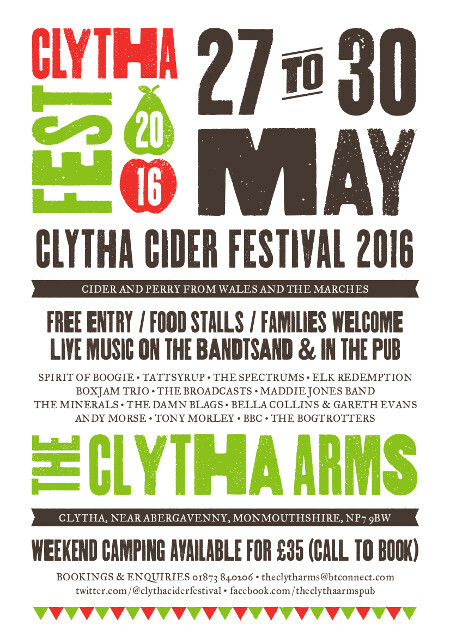 Every bank holiday at the end of May the Clytha Arms hosts their annual Clytha Fest. The Clytha Arms is one of Wales hidden gems and is considered one of, if not the best country pub in Wales. Well worth a visit! 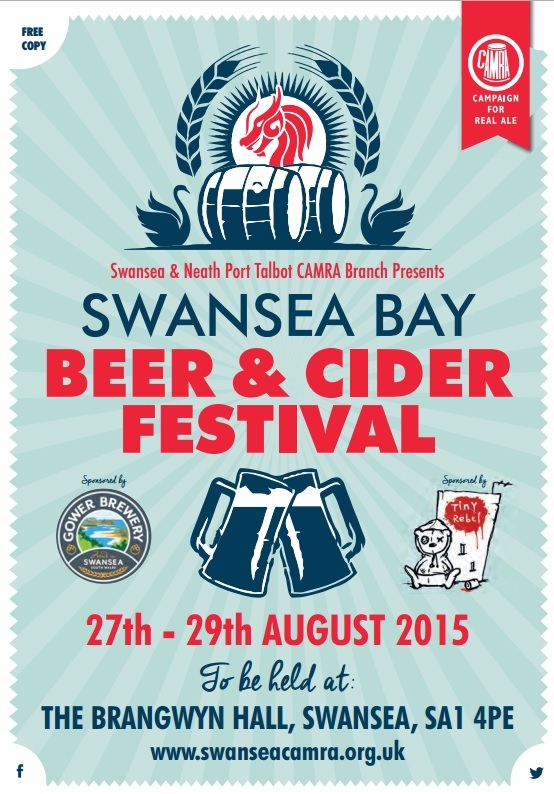 Over the August bank holiday Swansea CAMRA host their annual beer and cider festival at the spectacular Brangwyn Hall. They tend to choose the 'hits' beer wise so you are guaranteed a range of cracking pints. Well worth a visit just to see the hall itself! 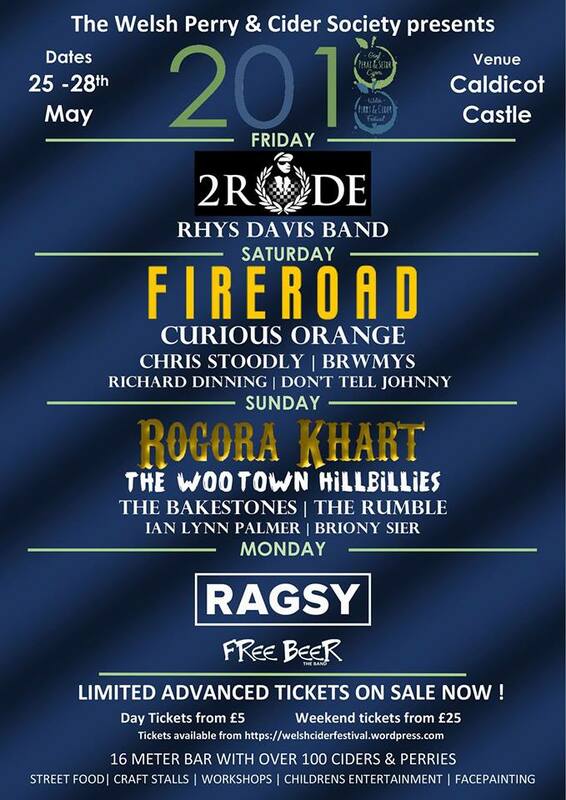 Run by the Welsh Perry and Cider Society the WPCS festival is Wales premier cider festival. Held every year on the bank holiday weekend at the end of May. 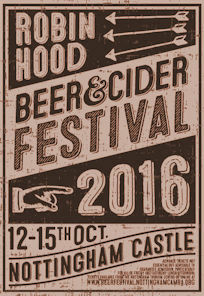 Nottingham CAMRA host one of the largest beer and cider festivals in the Country. The festival has a dedicated cider team that scour the whole country for the best cider makers to supply the event. A real honour to have our cider on the bar. We are also on the approved supplier list for Stonegate Pubs Ltd and as such we can supply any of their pubs. we can supply unpasteurised 10L & 20L bag in boxes on request via Jon Hallam. As they are special orders made up on request we do need over a weeks notice. All our draught ciders do NOT contain artifical sweeteners. As such if we supply unpasteurised the shelf life is 7 days. After which the cider could start refermenting if it has been sweetened with sugar. We offer free delivery to pubs, clubs, shops or events with a temporary events notice covering alcohol within a 30 mile radius of Cowbridge and Cardiff on orders of one 20L bag in box and above. Please contact us for details. Please note, we are unable to supply directly to the public day to day. If you do wish to purchase our cider why not attend one of our open days and buy some to take away then?